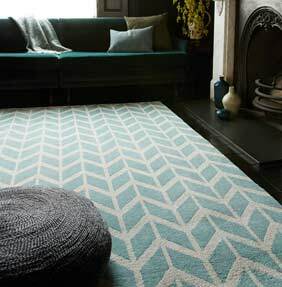 With a luxuriously soft weave finish and immediately eye-catching geometric patterns, Arlo rugs are a fantastic way of giving your space a modern edge. Arlo rugs can be enjoyed in a range of original geometric patterns, in different colourways and in every instance they have been finished to a very high standard. Arlo rugs are part of the Fashion Floors Collection by Asiatic Carpets and like the others in this range they have been designed to show off fun and fashionable styles which offer affordability as well as colourful design for the contemporary home. Each Arlo Rug is created from a super-soft 100% microfibre polyester and each rug is machine knitted with case in China. The rugs can be enjoyed in a range of different sizes and the low 5mm pile makes them ideal for many different spaces in the home.